Located in the heart of Hilton Head Island, the award winning regional Arts Center of Coastal Carolina is a remarkable showcase for professional performing and visual arts, as well as cultural festivals and educational outreach. 843-842-2787. Hilton Head Island features exceptional cultural opportunities throughout the year for art lovers. 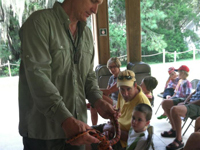 The Coastal Discovery Museum offers a hands-on exploration of the history, wildlife and heritage of coastal South Carolina. For children, the Sandbox is an interactive museum filled with unique entertaining and educational play areas. The Museum of Hilton Head exhibits artifacts relating to the island’s history and culture. Nature walks, loggerhead turtle watch protection program, and an oral history project are among its many offerings. 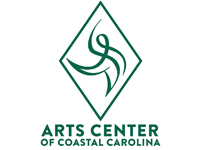 The Art Center of Coastal Carolina sets the stage for professional performing and visual arts, as well as cultural festivals and educational outreach.